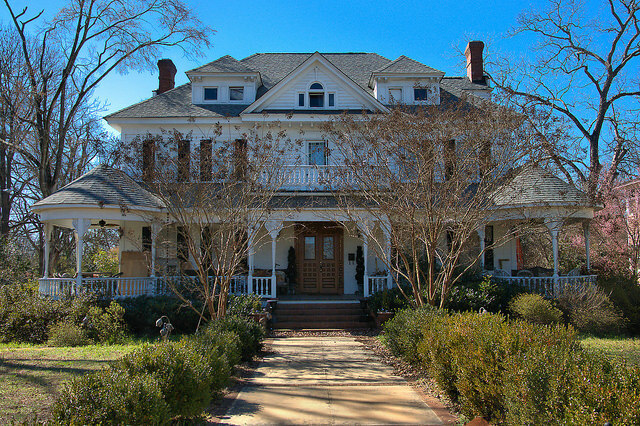 This homes was built for Tennille merchant and Mayor, Thomas W. Smith, whose family lived here for over 85 years. The National Register nomination form notes: …the Thomas W. Smith House typifies Choate’s residential architectural designs during the early years of his architectural career. 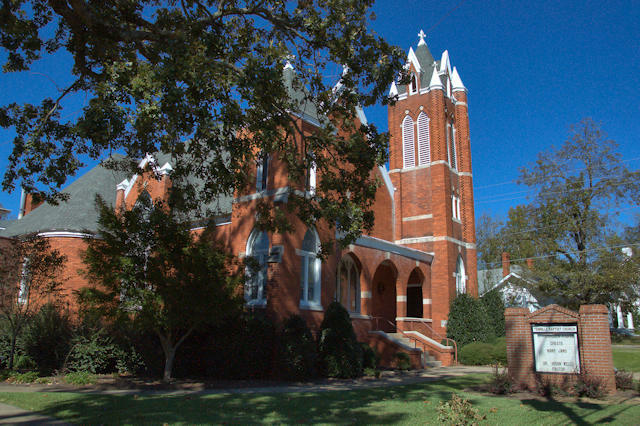 Charles E. Choate (1865-1929) was a minister-architect prolific in Georgia and adjacent states at the turn of the last century; the greatest concentration of his work can be found in the Tennille-Sandersville area. 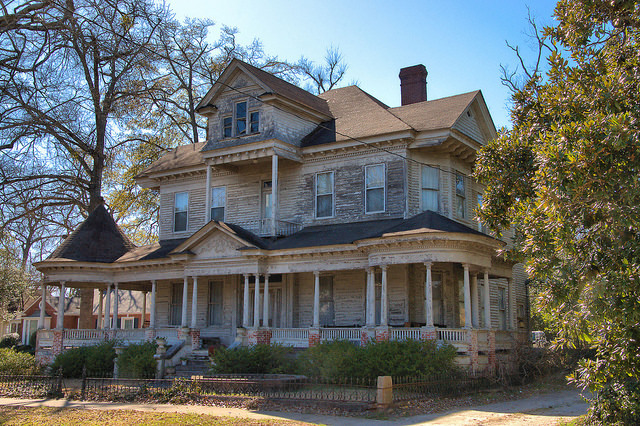 From The Rambler, May-June 2001, Georgia Trust for Historic Preservation: Dr. Solomon Brantley, a physician who served in the Civil War from 1861-1865, and his wife Mary originally built the plantation plain house with little ornamentation. 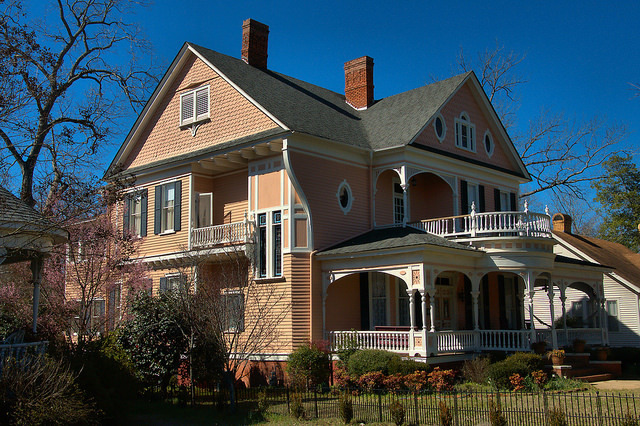 Architect Charles E. Choate added the Victorian detailing in 1899, when he was hired by a later owner to remodel the house. 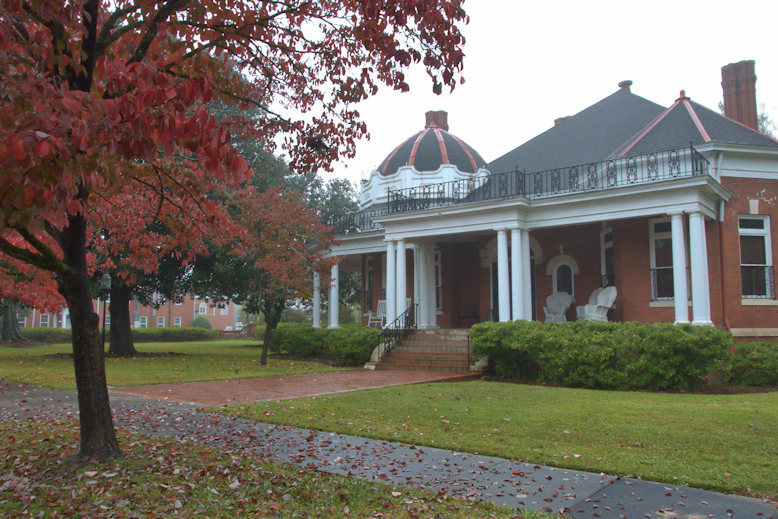 Story has it that Mary Brantley was among the women in Sandersville who begged Sherman not to burn down the town, and he rescinded his order to burn the houses. 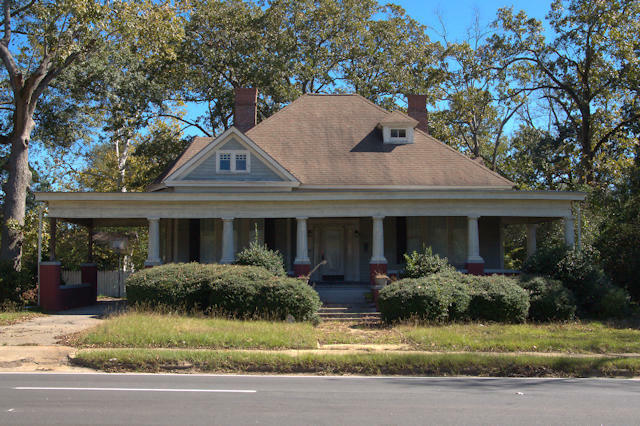 The house was passed down through several owners before the Haygood family bought it in 1953. The house is now being used as apartments…The house was originally built on piers, which were later filled in with concrete block. 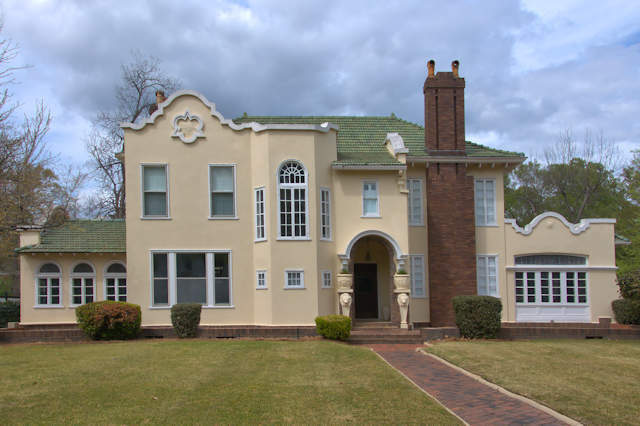 Charles Edward Choate, the architect responsible for the Holt Brothers Banking Company building on the courthouse square, also designed this home. Thanks to Caroline Ross for the history.